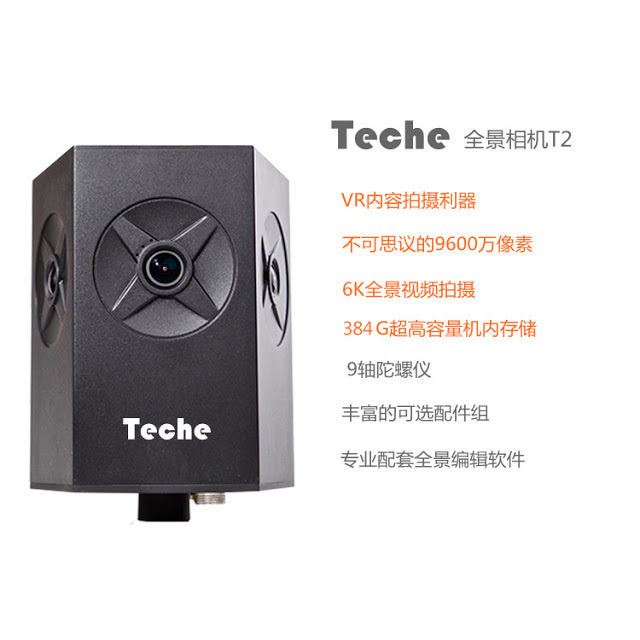 Teche T2 is a high-resolution 360-degree camera with a claimed 96-megapixel resolution, which appears to based on the fact that it has six sensors, each 16mp and 1/2.3-inch in size. The Teche is also claimed to have 6k video resolution, although the frame rate is not disclosed. From the lens configuration, the Teche appears to produce cylindrical panoramas instead of spherical panoramas. The price is 15,800 yuan which is around $2,364 at current exchange rates. Here is the official site. Thank you very much again to reader Andre Pariente for finding this info!